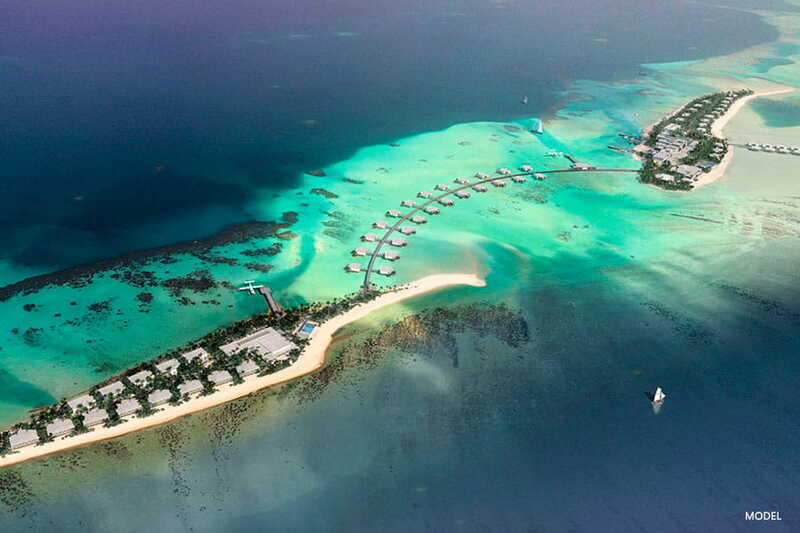 The Maldives is getting even trendier with the opening of these swanky new hotels. If these don’t give you a reason to pre book your flight to the Maldives today, then nothing will. Not only are these new resorts at the top of their game, but are also an excellent addition to the resorts that are already open today, adding to the tourism boom that has been happening in the archipelago since the 1970s. Plus, some of these have already been listed as some of the best hotel openings in the world this year by magazines like Evening Standard and Luxury Travel Magazine. If you are planning a Maldives holiday, be sure to check out one of the trendiest Maldives hotel openings this year. 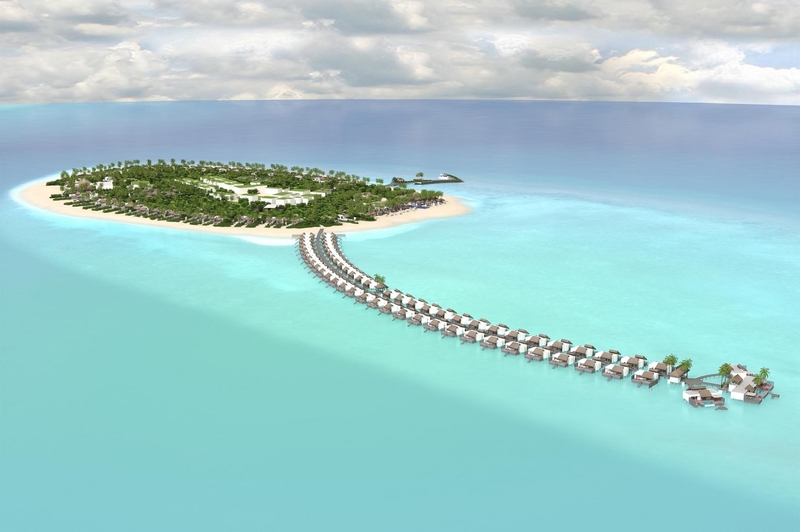 Set to open April 1, 2019, the Baglioni Resort Maldives is a lavish resort owned by the Italian Baglioni Hotels group. The company’s slogan “The Unforgettable Italian Touch” is sure to be true to form when the breathtaking resort opens its doors. It’s “Paradise with Italian Grace” complete with a fabulous Italian restaurant, top notch dive center, and some of the most elegant villas imaginable. All 96 villas are lavishly designed and decorated like elegant Italian houses that are set in the gardens, on the beach, or right above the water. 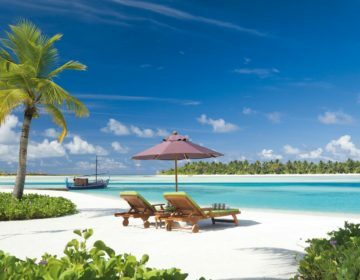 Be completely immersed in the luxury that is the Baglioni Resort Maldives 24 hours a day while relaxing in a villa, strolling along the pristine beach, eating extraordinary food, or being pampered in the spa. The staff here will deliver an ultra-luxury experience with Italian charm and attention to details. 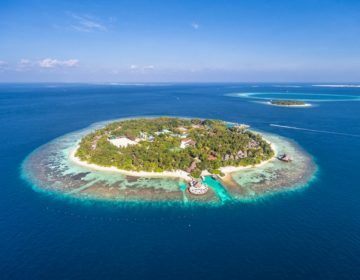 The renowned Hilton group of hotels will open an additional Maldives resort in March 2019; Waldorf Astoria Maldives Ithaafushi Resort. The resort is sure to impress, spanning across three private islands in the South Male Atoll and boasting 10 dining venues, a world-class wellness sanctuary, and a water recreation area for the kids. They will also offer personalized service to ensure that every guest leaves with lasting memories that will keep them coming back for more. 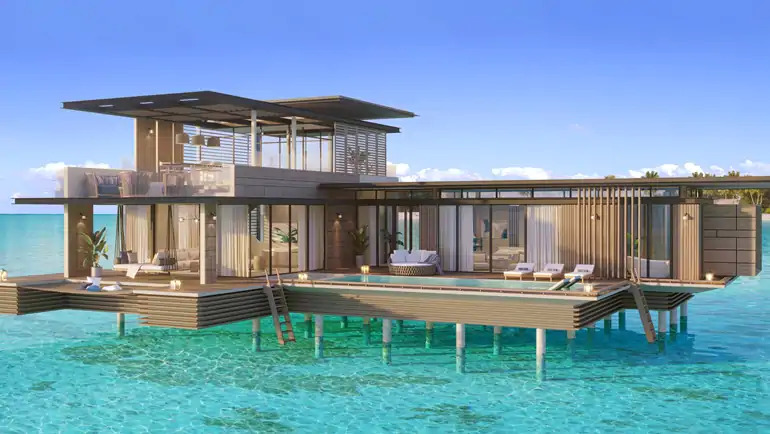 The Waldorf Astoria Maldives Ithaafushi Resort will feature 122 villas that will be set on the beach or over the ocean, with some even having reef access. Plus, all villas will have their very own private pool! Or stay on your very own private island in a 3-bedroom villa that is only accessible by yacht and features its own spa, gym, and dedicated chef. 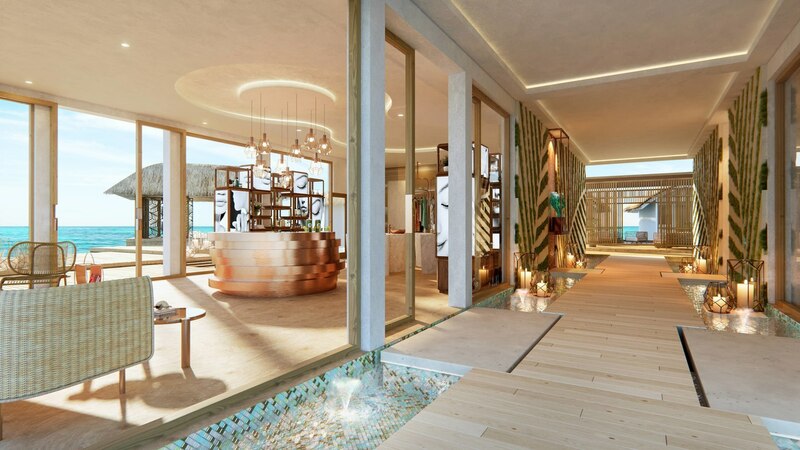 Let’s not forget about the resort’s 2,000 square meter spa, what with its vitality pool, mind and body studios, and overwater yoga platform. This will be the first ever integrated resort destination in the Maldives, being set right in the large Emboodhoo Lagoon. 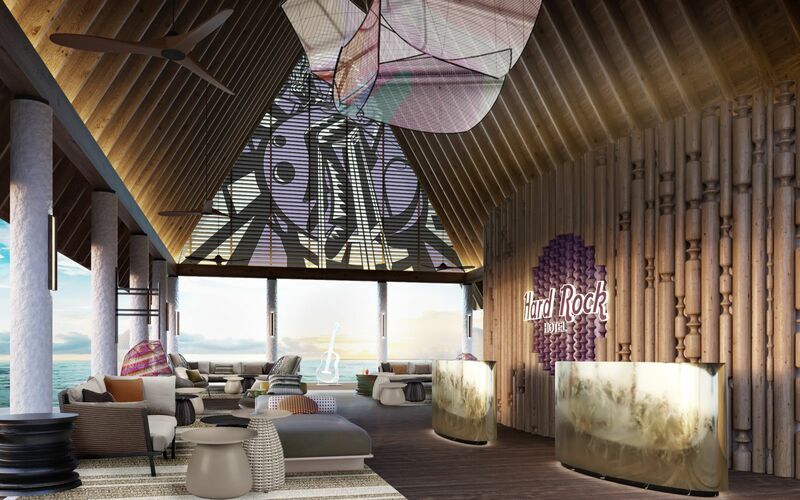 The Hard Rock Hotel Maldives will stay true to the Hard Rock entertainment and lifestyle brand by fusing its signature style, music, and fun into one incredible tropical resort. 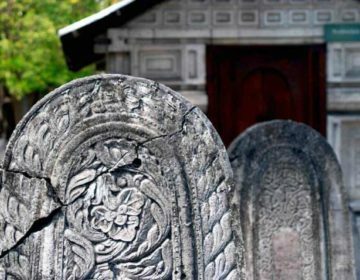 The resort will cater predominately to families, offering lots of things for the kids to do, while still keeping its Rock n’ Roll theme, complete with musical memorabilia. Guests can even use one of the 20 Fender guitars or Crosley record players free of charge. The Hard Rock Hotel Maldives will have 178 accommodation options to choose from, including the Rock Star Villa that has its very own private boat docking access. All rooms, suites, and villas will feature a 49” LCD TV, a pillow menu, a premium bar, tea and coffee station, and high-speed Wi-Fi. They will also, of course, offer the Signature Sound of Your Stay program and Rock Om in room yoga program. All accommodations are completely modern, with stunning views of the lagoon, as is the decadent Rock Spa and the resort’s three great restaurants. Built on the island of Fasmendhoo, the Emerald Maldives Resort & Spa is a new 5-star hotel that will start welcoming guests on June 1st, 2019. The deluxe resort is part of the Leading Hotels of the World and it will show. It’s sure to be nothing short of extraordinary, what with its five fantastic restaurants, relaxing spa, and terrific sports center, not to mention the dive center, water sports center, and kids club. If that’s not enough, the 120 villa that span across 40 acres of land. The crystal clear lagoon in which the resort sits in is also quite spectacular. Choose between a beach villa or an overwater villa, both of which boast a contemporary design that fits the tropical surroundings. 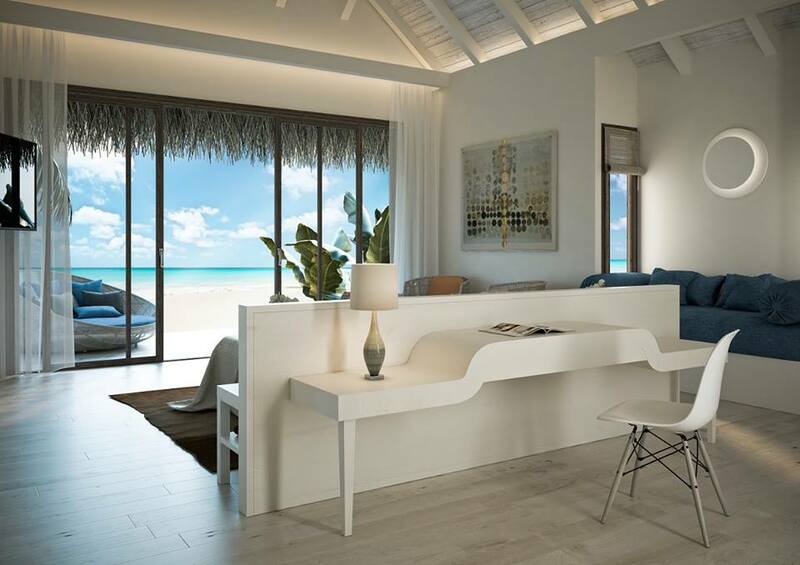 Stay in an overwater villa and enjoy direct access into the lagoon, or sink your feet in the sand in a beach villa. Regardless of what accommodation you choose, all villas are cozy and lavish, having two flat screen TVs, a king size bed, an outdoor shower, a walk-n closet, and a bath tub for two. They also have both a covered and open terrace, some of which have a private pool. Opening February 1st, 2019, the LUX* North Malé Atoll will be just as luxurious as sister resort LUX* South Ari Atoll and then some. In fact, this dazzling new resort will be made up of only penthouse villas that are sure to impress even the biggest rock stars. It will be a whole new level of Maldives luxury, catering to those that want a truly exclusive experience, complete with a private pool, private rooftop lounge, and all the glamour any jet-setter could ever dream of. The resort will have 67 two level residences, some right on the beach and others perched on stilts above the water. They are all extremely contemporary, designed for relaxing and for playing, and ideal for anyone that wants the full VIP treatment, including access to the door by private yacht. Enjoy fabulous views from the villa’s private rooftop, or head to Beach Rouge for a sophisticated cocktail while relaxing by the resort’s pool listening to the sounds of an international DJ. This new JW Marriott brand resort is already taking bookings for its July 2019 opening. Considering at all that it has to offer makes this not hard to see why. Travelers are already looking forward to staying at this extraordinary resort that will boast five dining options, an expansive wine cellar, and a signature Spa by JW. 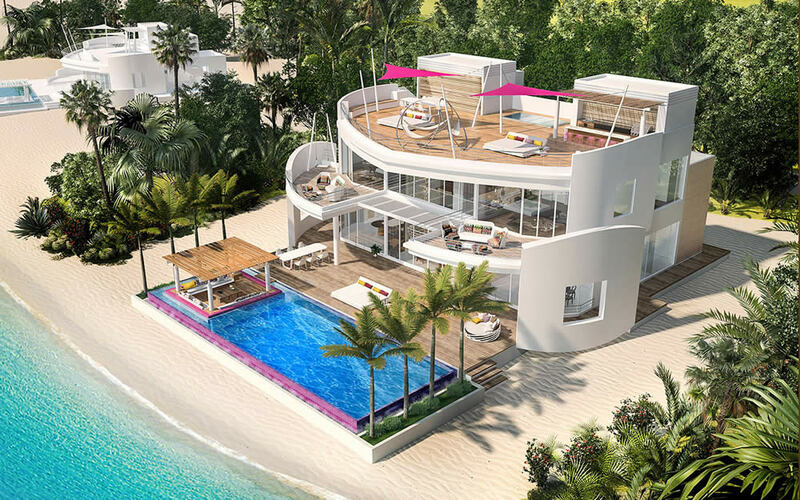 There will be 70 villas and suites to choose from, ranging from a suite on the beach to a villa over the water. The resort is sure to be sophisticated and welcoming, matched with superb dining, elegant accommodations, and top notch service. Each villa is designed in an eco-friendly way to compliment the natural surroundings, compete with an outdoor rainforest shower, private terrace, and private pool. They offer complete privacy and relaxation that can also be matched at the amazing signature Spa by JW or open air overwater yoga pavilion. End each day right by dining on Thai, Japanese, Italian, or Indian cuisine, or by having a cocktail or scotch in the resort’s cozy lounge. This all-inclusive resort is sure to be luxury in paradise for anyone that stays here. Luckily, you don’t have to wait too long, as Hotel Riu Palace Maldivas will open in August 2019. The resort will offer all-inclusive 24-hour service, ensuring that guests are completely satisfied during their stay 24-hours a day. It will have rooms, suites, and villas, some of which will be set right over the water. The resort will also feature a wide range of cuisines that is sure to impress all palates, as well as a swim-up pool bar, numerous watersports, and a delightful spa. There will be over 150 accommodations to choose from, ranging from a junior suite to a lavish overwater villa complete with private pool. Still, all rooms will be overly comfortable and offer great views of the lagoon, as well as a terrace with direct access to the beach or the water. There will be an option to dine right in the suite or in one of the resort’s five dining rooms, all of which is included in the rate. Plus, the resort will also offer kayaking, snorkeling, stand-up-paddle boarding, and scuba diving, as well as having daily fitness classes.